Fasting is another way to revive one’s digestion system. 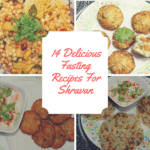 The food consumed during this period is gluten-free and some of the ingredients that are most likely consumed are Sabudana, Singhara Atta or Kuttu flour and Amaranth or Rajgira Four. Today I have a very easy recipe for a sweet dish that you can have when you are fasting. Rajgira Sheera is the delicious dish that has a rich and grainy texture. 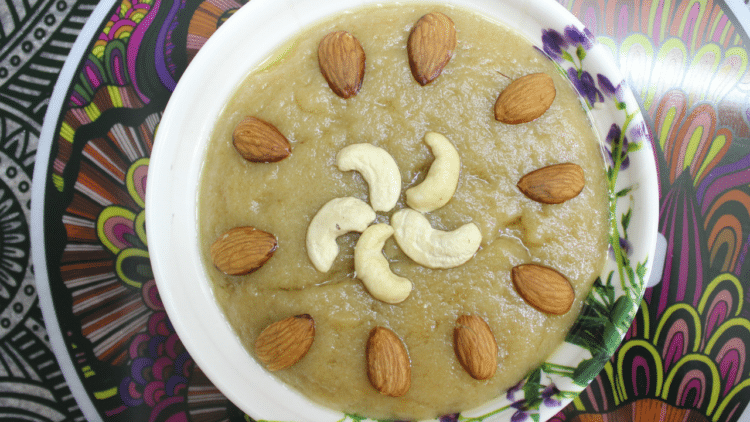 Rajgira atte ka halwa or Rajgira sheera is usually made during Navaratri festival or fasting on Ekadashi. Just garnish with almonds and your vrat special sweet dish id ready! Heat a pan, and add ghee. Now add Rajgira flour into ghee and mix well. On a low flame cook flour by continuously stirring it. In the medium-sized vessel, heat water on a medium flame. Roast the Rajgira flour for about 5-7 minutes. Once the color of flour changes and lets off a good fragrance, the flour is well roasted. Now add the warm water to the flour, and stir well to avoid the formation of any lumps. Add jaggery to the mixture and mix well. Once the jaggery melts, setting the flame low, place a lid on the pan and cook for about 5-7 minutes. After 7-8 minutes take off the lid, you will see that the ghee have started to separate from sheera. The Rajgira Sheera is ready to take it out on a serving plate and garnish with dry fruits of your choice. This is a healthy recipe that can be enjoyed by all. 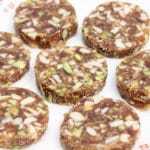 Serve this halwa this Navaratri. Share your cooking experience. Drop in your feedback and comments.